First of all, please accept my apologies for the terrible quality photos in this post. But at the same time, I’m kind of not sorry because this was a totally awesome day! 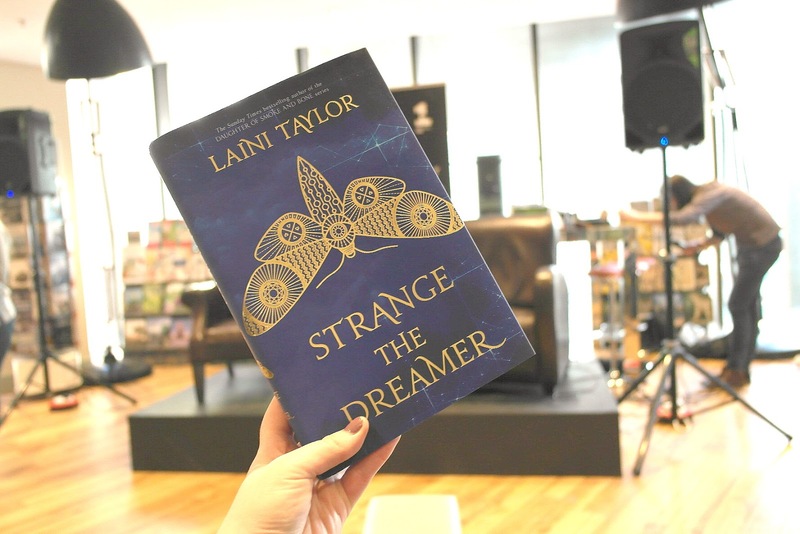 So last week I attended a very exciting book signing at Waterstones in Liverpool: Strange The Dreamer by Laini Taylor! Despite having read none of Laini’s books when I bought this ticket, I already couldn’t wait to meet her because I’d heard such wonderful things. 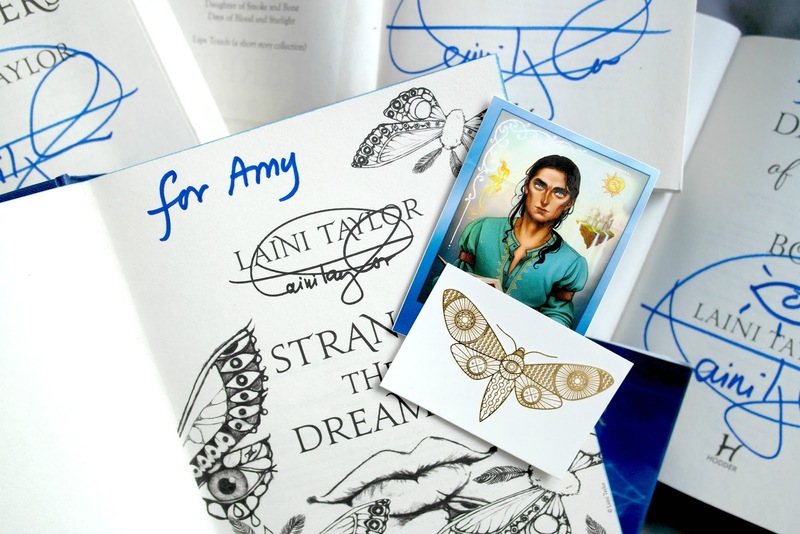 I promptly ordered the Daughter of Smoke and Bone trilogy and eagerly awaited the arrival of Strange The Dreamer which arrived in March’s FairyLoot box (unboxing here)! 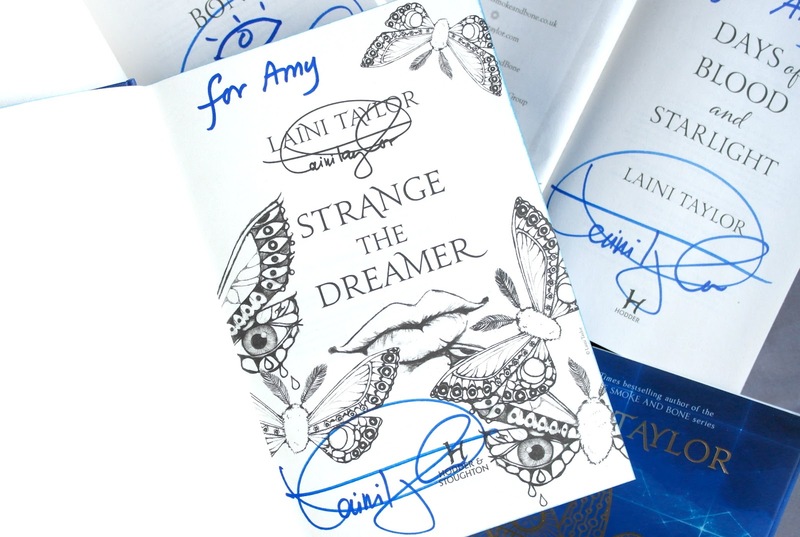 Admittedly, at the time of the event I was only halfway through the trilogy and a hundred pages into Strange the Dreamer thanks to working none stop on uni assignments, but I was already so in love with Laini’s writing that I knew her books would creep up my favourites list. 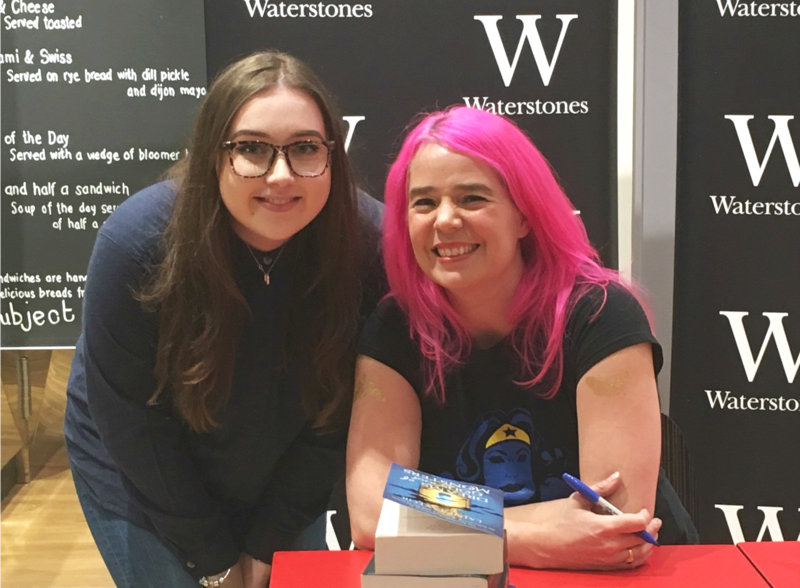 I made my way to Liverpool with the lovely Lauren (Northern Plunder) and Beth (I Am Book Mad) who I met at the Caraval book signing, along with Bec (Two Book Thieves) who I met for the first time at the event. Despite having only met once or for the very first time, I had such a lovely time with the girls. We chatted about all sorts and I felt as if I’d known them much longer! The event itself was amazing, just as I’d anticipated. Laini told us how Strange the Dreamer had initially been The Muse of Nightmares, a story told from Sarai’s point of view, but how after writing a certain falling book scene featuring Laszlo, it quickly became his tale. Don’t worry though! 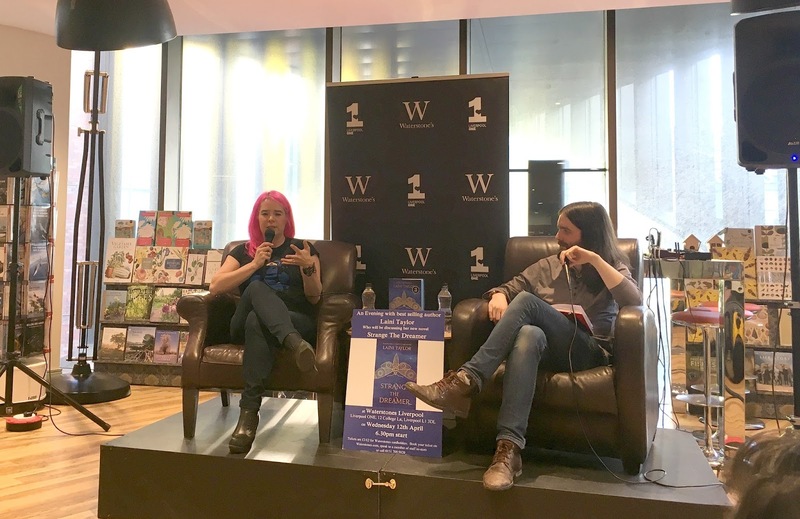 Laini did let it slip that the second instalment in this duology will indeed be called The Muse of Nightmares and hinted that it might be published next year. I had such a great day getting to know the girls over pizza and books, and then meeting the wonderful Laini Taylor! I’ve been reading Strange The Dreamer at every opportunity I’ve had and it’s glorious. I’m trying to take my time and savour the book due to Laini’s beautiful writing style but I’m finding that quite hard, I need to know what happens!